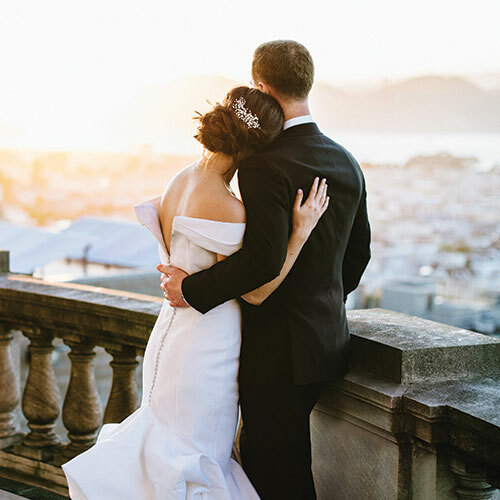 Located in the Pacific Heights neighborhood of San Francisco and home to Schools of the Sacred Heart, the Flood Mansion transforms from a school by day into a private event venue with more than 6,000 square feet of space available for rental. The Flood Mansion is a symphony of classical styles – Italian Renaissance, Rococo, Tudor, and Georgian. This elegant building, constructed in 1915, has remained well preserved since Mrs. Flood donated her home to the Religious of the Sacred Heart in 1939. Although the building is now used as a private school, it’s available for special events after school hours and on weekends. "I had my eye on the Flood Mansion from the time a friend got married there long before I even got engaged. Janie (my contact), the planning process, and most importantly, the day of – it was all everything I imagined it would be!" Our breathtaking Grand Hall and additional spaces let us accommodate seated events for up to 165 and reception-style events for up to 299. The flexibility offered by the multiple spaces also let us mix and match the right combination of spaces for your event’s needs, or to use just one for smaller, more intimate events. Our signature event space, it’s 140 feet long with marble floors and unrivaled views of the bay the entire length of the space. An architectural marvel, the Reception Room features magnificent coffered ceiling, painted murals in golds, blues, and greens, a marble fireplace, and a parquet floor. It can be used as the dance floor in combination with events in the Grand Hall, or for smaller, more intimate events on its own. 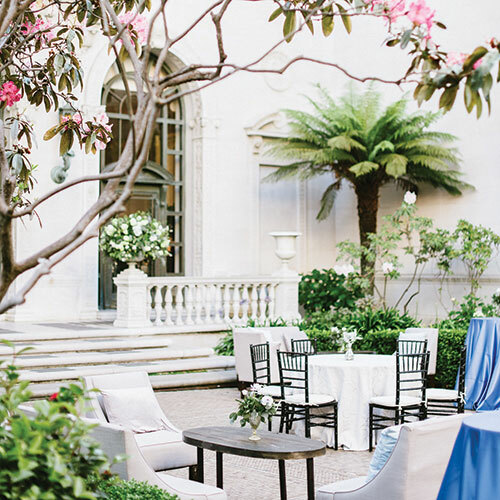 Directly outside of the Grand Hall, you’ll find our stunning enclosed courtyard for outdoor gatherings with all the same amazing bay views as the Grand Hall, weather permitting. The Courtyard can also be a great addition to Grand Hall events, used for wedding ceremonies and pre-dinner receptions. The courtyard holds 170 seated and the Grand Hall 200 seated. The entire main floor accommodates 165 seated comfortably or 299 standing guests for a cocktail reception. The courtyard holds 200 standing guests. The main floor can accommodate 200 seated. Available days vary from month to month so please contact the venue for details. Guests must vacate the premises by 10:30 p.m. Friday and Saturday, and by 9:30 p.m. Sunday through Thursday. Vendors must vacate 90 minutes afterward. 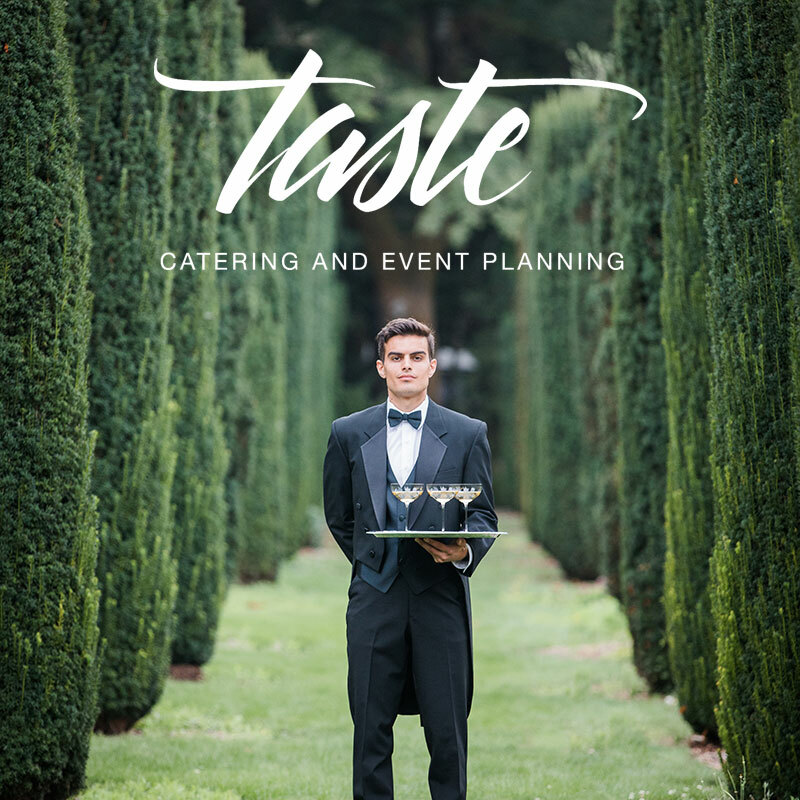 We are pleased to present our selection of trusted professionals, available to assist in planning your event at James Leary Floor Mansion.